By the age of 35, many people find themselves with looser, more worn skin. In many people, the effects of aging are particularly noticeable on the cheeks, jawline, chin, and brows. The lower parts of the face, especially, tend to suffer the most wrinkles and sagging and worsen as people age or gain weight, for example. While weight gain can be managed, little can be done as far as self-care to reverse the effects of aging. There are several medical interventions that can noticeably decrease the physical appearance of aging. One such treatment is called Ultherapy, which is a non-invasive, non-surgical treatment modality that uses ultrasound technology to tighten skin and increase elasticity. Ultherapy uses high-frequency sound waves with NO risk of radiation exposure or surgical complications such as bleeding or scarring. Ultherapy uses both ultrasound therapy, or the delivery of sound waves, coupled with ultrasound imaging to provide a safe, effective, and targeted treatment. Using an ultrasound unit, Ultherapy delivers focused energy to the deeper layers of the skin to promote collagen production. Collagen, as you may know, is a specific protein which the skin needs to sustain its shape, smoothness, and durability. As people age, they will naturally produce less collagen in their skin, which causes skin looseness and wrinkles. With the help of Ultherapy, however, increased collagen production acts to reverse the effects of aging and restore tighter, younger-looking skin. 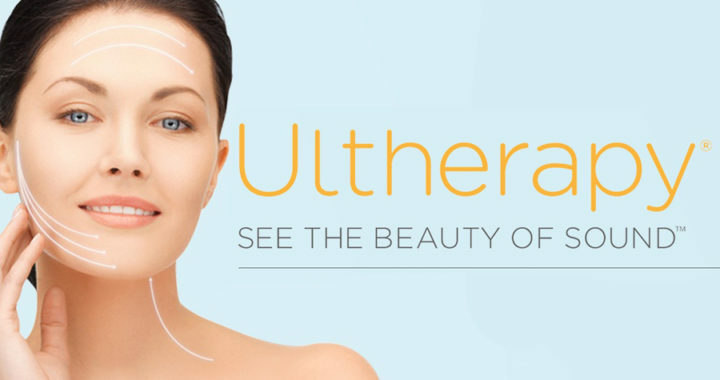 Ultherapy focuses on the Superficial Muscular Aponeurotic System (SMAS) within the face, which includes the thick layer of tissue separating facial musculature and skin. The SMAS is of particular interest during cosmetic surgery, where its structures are manipulated (cut and/or pulled) to create a younger appearance. Fortunately, there will be no cutting or pulling during the Ultherapy procedure. The only pain that you will feel is temporary discomfort as the ultrasound energy heats the tissue under your skin. Your physician will likely administer a topical and/or local anesthetic to reduce the feeling of discomfort. One of the most significant benefits of Ultherapy, especially compared to surgery, is the minimal downtime. There are no overnight hospital stays, nor are there any lengthy stays in postoperative recovery. After Ultherapy, most people feel comfortable returning to work or school within a day. Another benefit to Ultherapy is that the effects are always becoming more noticeable. Because it takes time for collagen to be produced and have an effect on your skin, Ultherapy patients see full results in about 3-4 months with significant improvements along the way. Because the effects are gradual, you may not notice them right away; thus, many physicians opt to take before-and-after photos for their patients — the effects can be quite surprising! The cost of the Ultherapy will depend on how many areas of your face are being treated. Cost can range from just $500 for a small area up to several thousand dollars for the entire face and neck. Typically, the process begins with a consultation with your physician to determine if 1). you are a candidate for Ultherapy and 2). if Ultherapy can benefit you. Although Ultherapy is generally a very effective treatment, some people who have extreme amounts of loose skin may require invasive surgery for maximal results. 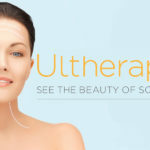 If you are interested in Ultherapy Treatment in San Diego, please give us a call to schedule a FREE consultation! The Ultherapy Center San Diego is not owned by or affiliated with Merz North America, Inc.
© 2019 Ultherapy Center San Diego. All Rights Reserved. Design & Development by Exton Edge Marketing & Design.